Why your kitesurfing lines’ length matters and what lines to choose? You may have seen people on the water or on the beach flying the kite with the shorter lines. But why? 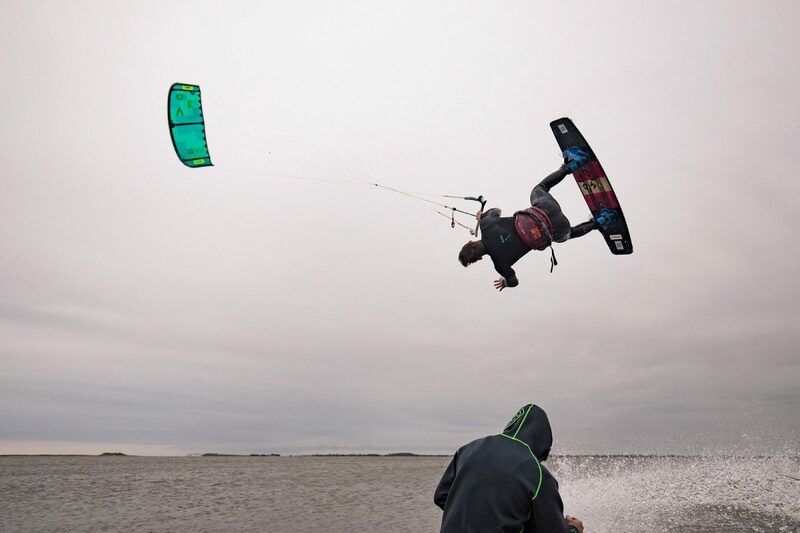 There are certain benefits and personal preferences to using shorter lines when kitesurfing. The average length of the ‘normal’ lines is usually between 22m and 27m which is proven to be the optimal length to keep the kite in the air. The shorter lines are often used for the student in schools but they are also a choice of experienced kiteboarders for various reasons. It is more of a preference than a skill level dependent factor. The shorter lines make the kite sit lower in the air, therefore, feel a little less powerful. That is why IKO instructors often reach out for the shorter lines for their students. Similarly, an experienced rider can choose shorter lines if the wind gets stronger and he doesn’t have a choice of a smaller kite then the shorter lines will decrease the power. Another aspect is the turning speed. Shorter lines will make the kite to complete the rotation (a kiteloop or backloop) quicker and this is why the freestyle enthusiasts like it. So looping is good. It also means you have to react a little quicker. If you are a beginner you may have experienced flying the kite on much sorter kitelines. 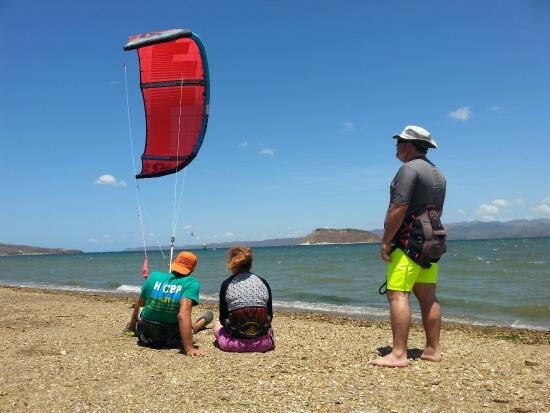 Kite schools use linesof 15m, 10m or even 5m in some cases for beginner kitesurfers. Once you gain confidence steering the kite you will start with the full line length which varies from 22 to 27 m depending on the weather conditions and the personal choice. Why does the line length make difference? Well, it goes back to the aerodynamics and how the wind behaves in relation to the obstacles. Wind gradient means the wind is stronger the higher you get. You may have noticed this climbing a high mountain. The higher you get the ‘cleaner’ – less gusty the wind is because it is not stopped there by trees, buildings, hills, etc. Why not get a small kite and super long lines then? In theory, it is a good idea, but in practice, unfortunately, this simple solution doesn’t work like that. There are other aspects that need to be taken into the consideration. The main one is the drag that affects not just the kite but also the lines if they are too long. The longer the lines the more ‘drag’ they will encounter because they get affected by the air mass. This creates a bend, almost like a slack in the line which makes steering more difficult. When you pull the line ultimately you are pulling the ‘slack’ rather than steering the kite. In simple words: the reaction time is much slower. That is why the optimal line length is between 22 and 27m. When shorter lines and how short? As mentioned before the short lines are most popular for learning. Some kiteschools use lines as short as 5m for small kites in stronger winds. The advantage of it is reduced power, but the disadvantage is the very fast reaction time and more gust. Learning in safe conditions with 10m lines is a better idea than going out in very strong, sometimes dangerous winds and very short lines. Other uses of short lines. 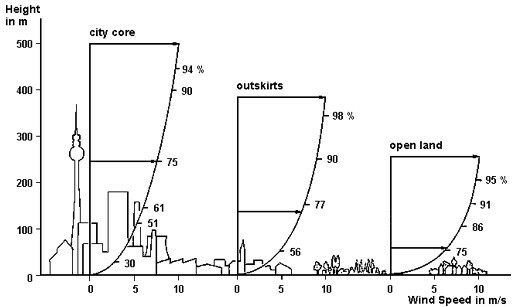 Power delivery is the other reason for increasing or decreasing the line length. To do that you can buy a set of line extensions of 2, 3, 4 or 5m lengths. This way with the same kite size you are able to kite comfortably in different wind strengths without feeling over or under-powered. What lines should I get? If you are a beginner get a bar that allows adding and taking off extensions. A good example is an Airush bar that allows different settings thanks to the two sets of extensions that it incorporates: 10m and 4m. This way you can fly on full-length lines (24m), take the 4m off if the wind gets stronger (20m), use it for learning by taking both of the extensions off (10m) or use it for improving or freestyle on mid-length (14m). This entry was posted in Gear Info. Bookmark the permalink.